And as I already mentioned, I DID close off the second entry/exit along the open back wall. After giving it a LOT of thought, and looking around the mall at all the other spaces, and just ‘not feeling right’ about how it was; I closed it off last week. And in doing so, I made the single entry WIDER. Not entirely content with what I have on either side of the opening right now, now what I used to close off the other opening just yet. But, as always, it’s a PROCESS of trial and error to find the best solution. And even though I’m not content with the placement of the furnishings, I am ENTIRELY content with how the booth ‘feels’ more enclosed now. I guess with the two openings it felt more like a ‘pass through’. Too easy to just ‘walk on through’ and not stop and look around. I guess we’ll SEE if it helps my sales any. This is the view of my booth from what was the other opening. And I DO like that it’s low enough to still be able to see into the booth. And it’s just a few steps around the corner to actually go inside. This is the outer facing back-end wall of my booth. The white bench that you see in the middle is the space that USED to be open. This arrangement somewhat blocks the view of that side facing shelf full of stuff, but that is something that I can ‘tweak’ as I go. It’s still easy enough to ‘reach’ that stuff, just not the optimal viewing angle. 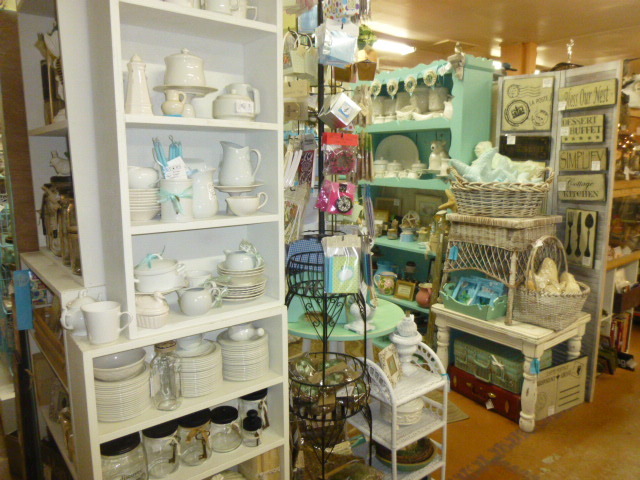 This is the view looking from the back outside corner toward the front of the store. The entry space seems a lot more inviting now. It’s a good idea to walk away from your booth, then walk towards it from every possible direction and notice what would stand out to customers as they walked the aisles. SO often, I notice shoppers JUST walking the aisles . . and not going INTO the booths to explore. So it’s VERY important that the FIRST things they see, ENTICES them to ‘come hither and see more’! Now on to what’s new! 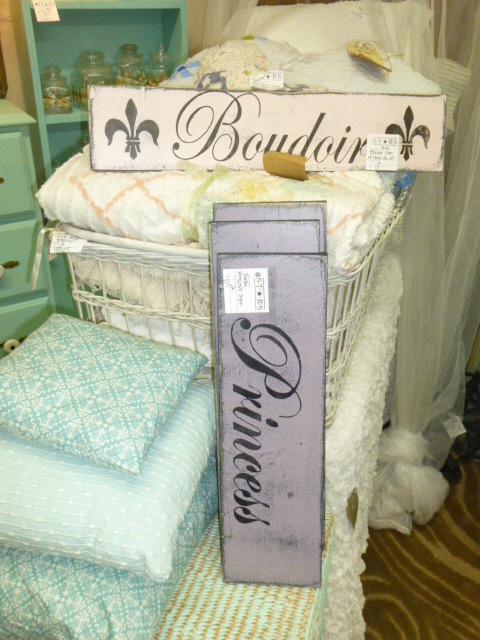 Princess and Boudoir signs. 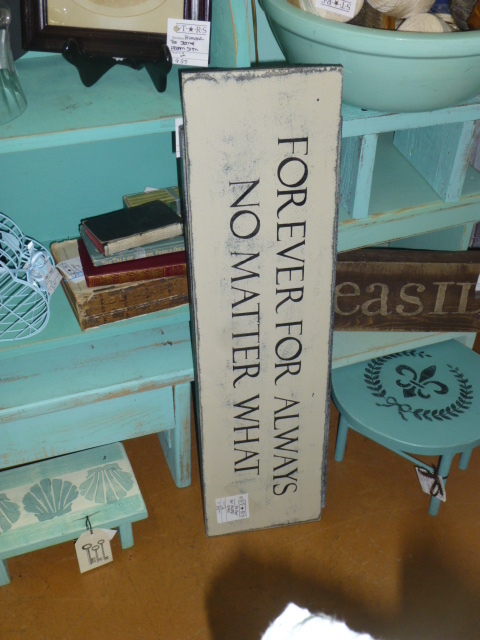 (MOST signs are also available in my etsy shop AND my booth at Curiosities in Beaverton). And I brought the baby bassinet back in and placed it on top of the bed! 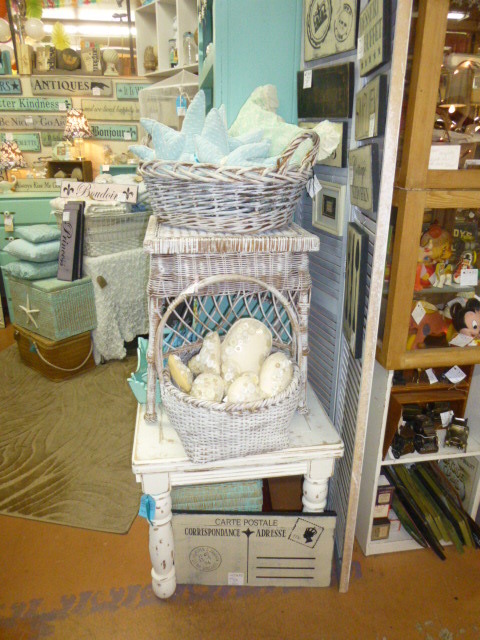 Perfect place for me to stash the vintage chenille bed spreads. I was able to create room for the other shutter, thereby making more room for hanging things. 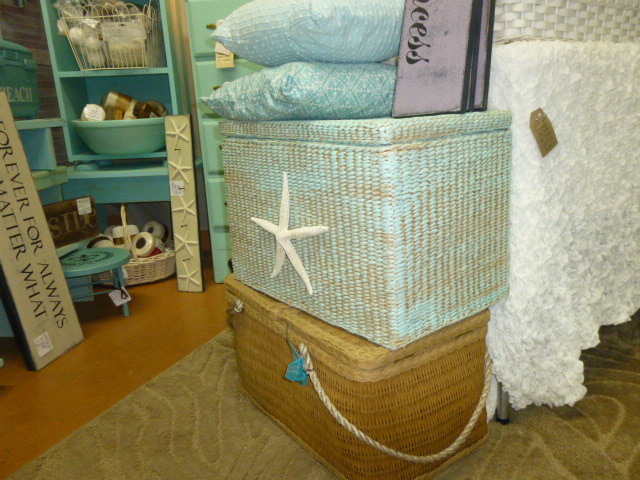 I decided to group the beachy things together. Sweet little apothecary chest I just finished. 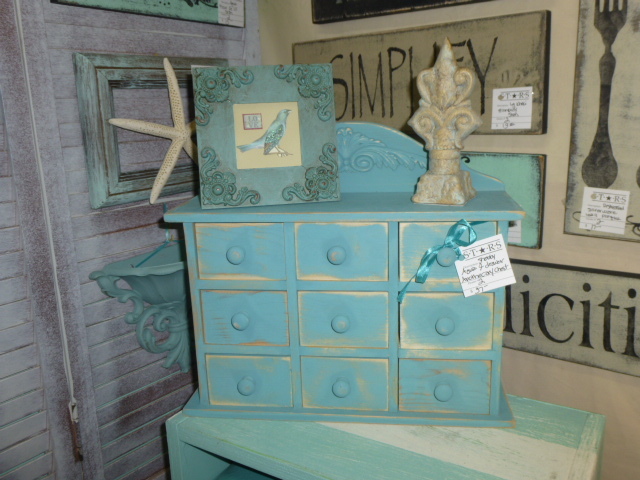 It’s very rare that I find ANY thing with little drawers at an affordable price. My price on this one of a kind little gem in $37.00. Available ONLY at Stars. 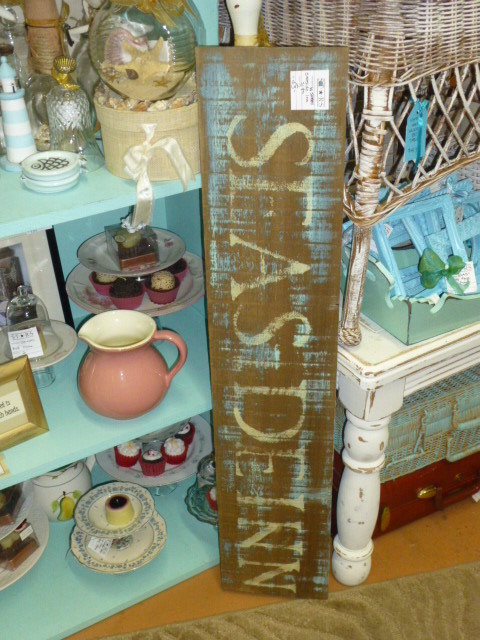 Very faded “SEASIDE INN” sign. 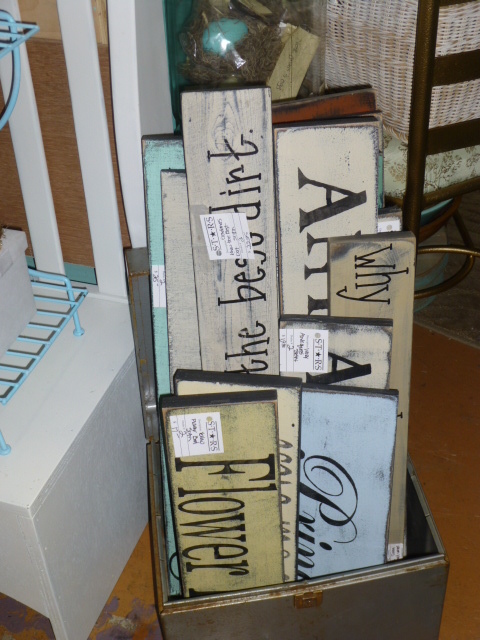 Because of limited wall space to hang signs, a lot of them are displayed in an old metal file box. 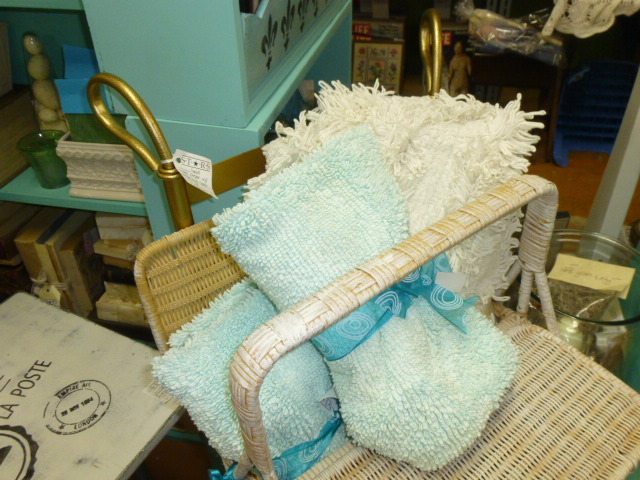 Added another twin size chenille spread in an ‘almost blush’ color. 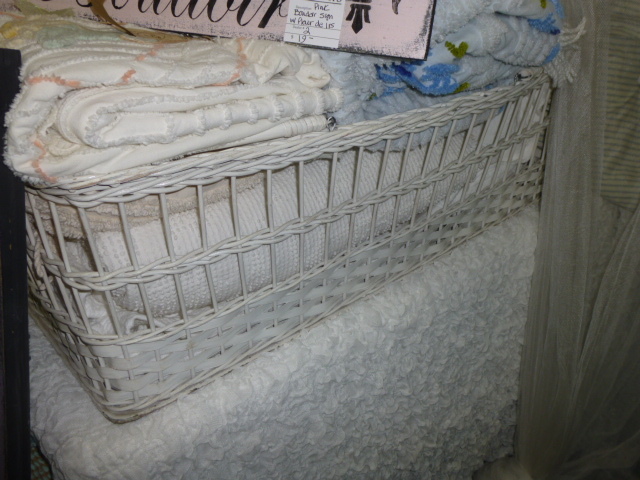 See that little bit of pinkish color in about the missde of the basket? 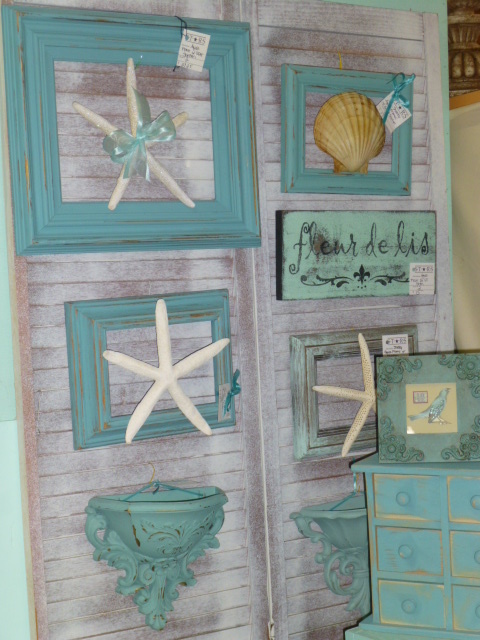 Perfect for a little girls room. $25.00 and in perfect condition. Kind of hard to see it because it is so ‘see through’. 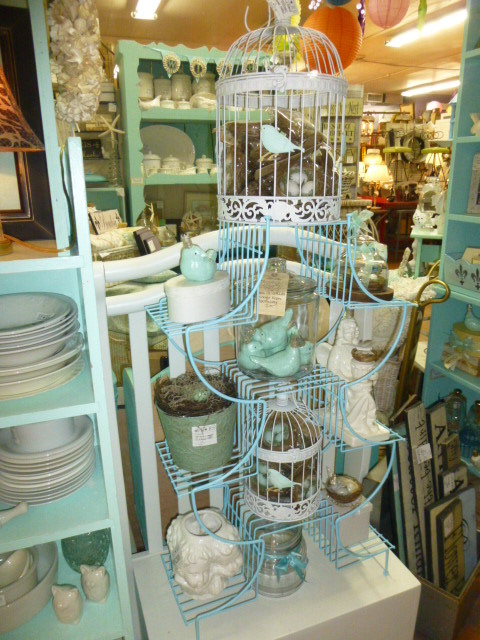 This is the vintage plant stand that I repainted a while ago. $42.00. Need to move it to a more visible spot! 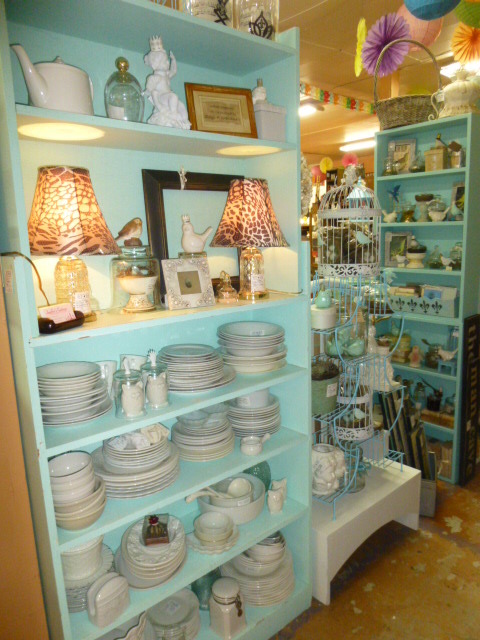 I love pieces like this with individual shelves to display treasures on. Remember STARS is open seven days a week, 11am – 6pm. Where is your store? 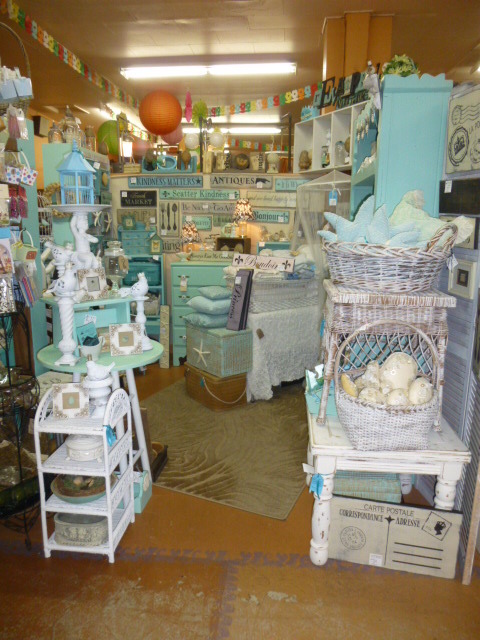 I absolutely love it and I love the various shades of blue and blue/green and white. It’s like you walked into my upstairs. These are all the colors I’m using. I felt right at home. Keep up the good work. 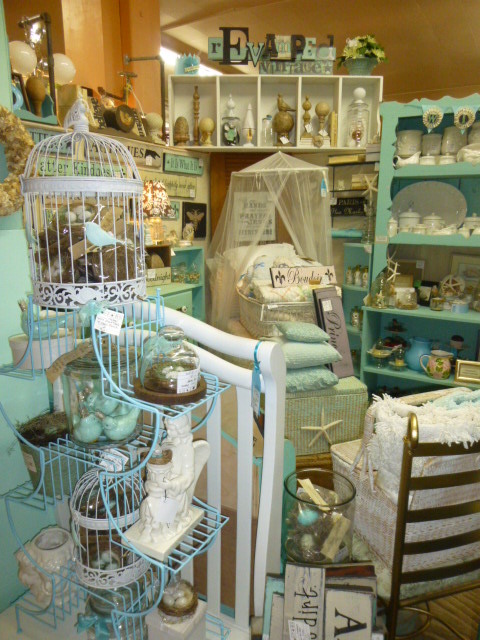 I no longer have a ‘store’ rather a BOOTH in two different antique malls. Stars Antiques in Portland; and Curiosities in Beaverton. You’ll find the specifics of both by clicking on teh first category on my right side bar.